Allison Walden is the Tulsa Sings! Grand Prize Winner for 2018. 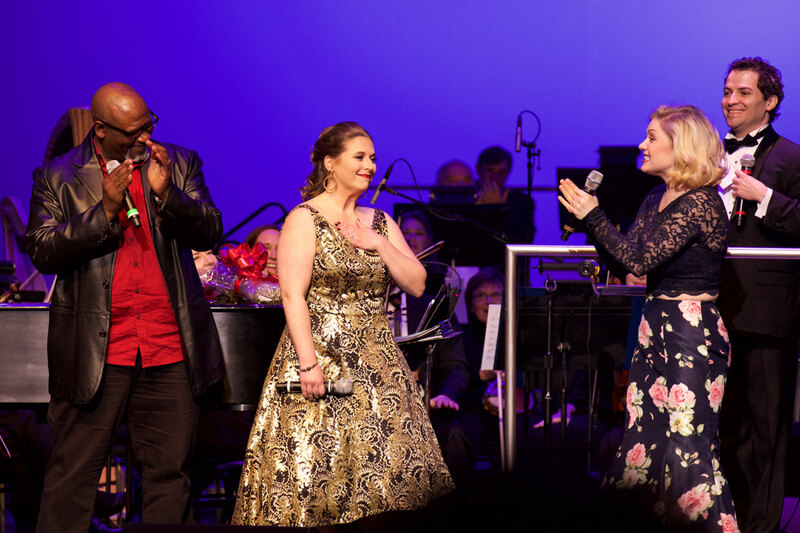 The 37-year-old mother of two was named the winner of the vocal competition as part of the 2017-2018 season for the Signature Symphony at Tulsa Community College. “Tulsa Sings! celebrates the talented vocalists that call Tulsa home. It has been an unbelievable experience featuring these performers on our stage and backed by the professional musicians of Signature Symphony at TCC,” said Andrés Franco, Signature Symphony at TCC Music Director. Six Tulsa Sings! finalists performed with the Signature Symphony on Friday, April 6 and Saturday, April 7. This year’s judges included New York vocalist Scott Coulter, vocalist and performer Mark Frie, “The Voice” contestant Brian Nhira, and News on 6 and Six in the Morning co-host LeAnne Taylor. As the grand prize winner, Walden will be featured in a Signature Symphony concert for the 2018-2019 season. “From the moment Allison entered the competition with a video she recorded on her cellphone singing a capella in her car to her performance of “Goldfinger” on stage, she impressed the judges,” said Franco. Tickets are on sale now the final Signature Classics concert of the season, Mahler & Faingold. The performance is 7:30 p.m., Saturday, April 21 at the VanTrease Performing Arts Center for Education on the TCC Southeast Campus, 10300 East 81st Street. Season tickets and renewals for 2018-2019 season are on sale now for the Signature Classics and TTCU Pops series. A season subscription offers a substantial savings over purchasing individual tickets. Season ticket prices start at $60. For information on performances or to purchase tickets call 918-595-7777 or go to www.signaturesymphony.org.